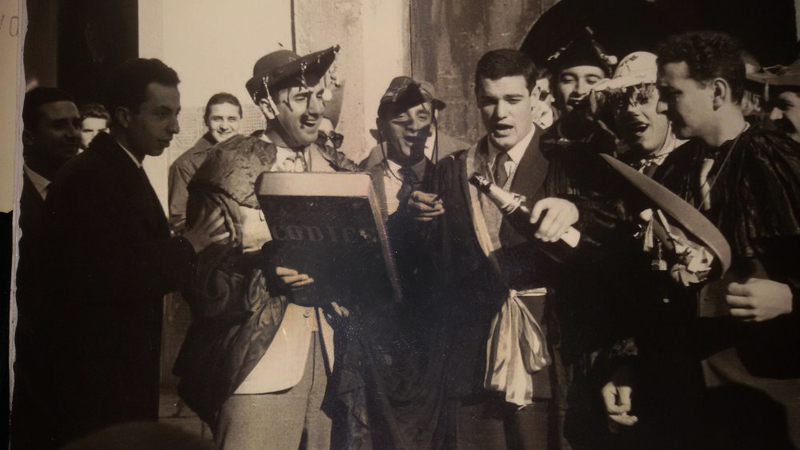 The term “goliardia” refers to the traditional spirit of the Italian university students, with an attitude that combined studying needs with transgression, irony, company and adventure seeking. In modern time these students began to gather in academies. These groups, which also professors took part in, used to meet in cafes and cultural gathering. Academy members often used to wear distinguishing signs, for instance particular pins or clothing and a specific hairstyle. These groups took actively part to some of the most important conflicts during the Italy’s History, even where Cascina La Goliarda grows. 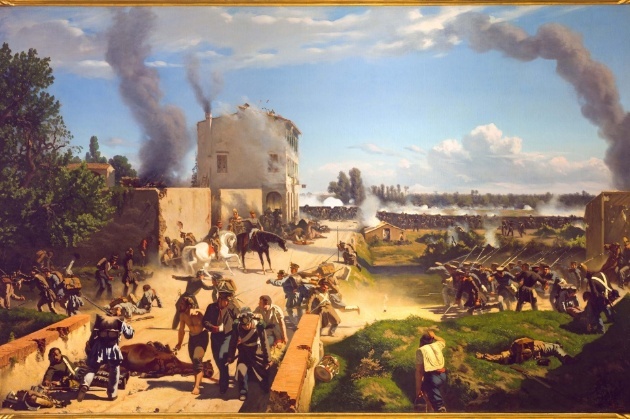 The Battle in Curtatone and Montanara took place during the First Italian War of Independence in 29th May in 1848. The Austrian army under Marshal Josef Radetzky tried to outflank the forces of Piedmont accessing Mantua and attacked the weaker formation of Carlo Alberto, that is the Tuscans and Neapolitans positioned between Curtatone and Montanara. Despite the defeat the Italian opposition was very strong and determined in particular with reference to the university students. 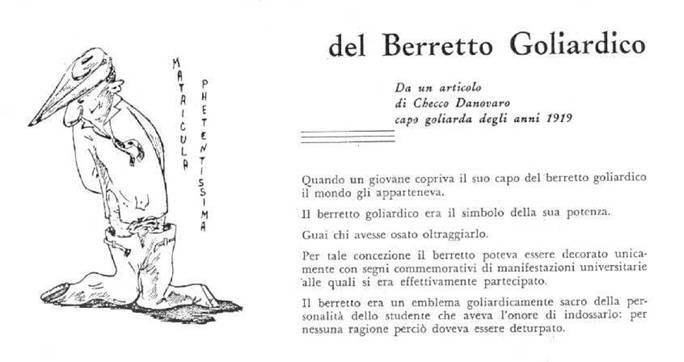 These students wore a particular hat similar to the one used by Robin Hood called “feluca” or “goliardo”, which was modified to better aim with musket. Since then the Goliarda hat has the upside down point.